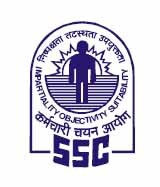 Staff Selection Commission (SSC) Western Region (WR), Mumbai invites applications from eligible Indian National candidates for recruitment of following Group B and Group C positions. The last date for submission of online applications is 2nd October 2016. B.E./ B.Tech in Electronics & Tele Communication Engineering or Electronics & Communication Engineering. B.E./ B.Tech in Mechanical Engineering. Post Graduate (Master’s Degree) in in Chemistry or Agricultural Chemistry or Soil Science. Bachelor's Degree in Science with one of the subjects at Graduate Level in Chemistry. 02 Years Experience. Bachelor's Degree in Science with one of the subjects at Graduate Level viz. Physics, Chemistry (OR) Diploma in Metallurgical Engineering. 02 Years Experience. Diploma in Engineering or Technology (Civil Discipline). Bachelor's Degree in textile design or fine arts with textile designs with 02 Years Experience. (OR) Three years Diploma in fine arts with textile designs as a subject with 03 Years Experience. Bachelor's Degree in textile technology or three years diploma in handloom technology or handlooms and textile technology. 02 years Experience. Passed 10+2 with Diploma in Speech Therapy (and) Two years experience (OR) Bachelor's Degree in Audiology and Speech language Pathology (and) 01 Year experience. Post Graduate in in relevant specialty i.e. Zoology / Microbiology / Biochemistry. Degree in Commerce or Economics or degree in Law. Bachelor of science degree with physics or chemistry or mathematics or a Diploma in Engineering in the appropriate discipline viz Electrical, Electronics, or Mechanical Engineering. Mechanical/ Automobile. 02 Years Experience. Master's Degree in Chemistry preferably with specialization in in-organic or physical Chemistry or Analytical Chemistry. (OR) Bachelor's Degree in Science with Chemistry as one of the subjects, with 03 years experience in analysis of ores and mineral. Master's Degree in Ore Dressing or Mineral Processing or Geology or Chemistry or Physics or its equivalent. (OR) Bachelor's Degree in Chemical Engineering or Metallurgy or its equivalent. (OR) Bachelor's Degree in Chemistry, Physics or Geology or Ore-Dressing with three years experience in Ore-Dressing or Mineralogy. Matriculation or equivalent. Should have passed Sanitary Inspector Course or possess equivalent qualifications. Graduate Degree with 03 Years Experience. Bachelor in Commerce (OR) Graduate in any discipline with one year Diploma in Book Deeping or Store Keeping . 03 Years Experience. Chemistry or Oil Technology or Food Technology (OR) Bachelor of Science Degree with Chemistry as one of the subjects or Bachelor of Science (Hons) in Chemistry with 02 Years Experience. Degree with 02 Years Experience. 10 (matric) with +2 examination pass with Mathematics as one of the subjects and Three years service in Central Government or a recognized organization or institution in handling Engineering or Technical Stores. Intermediate (matric with 12th) or Senior Secondary or 12th Pass with Science or Agriculture subjects with 03 Years experience. Matriculation or equivalent with experience required. Matric with 12th Class or equivalent qualification. Bachelor's Degree in Science with one of the subjects at Graduate level viz. Physics/ Computer Science/ Electronics (OR) Diploma in Engineering viz. Mechanical or Automobile. One year experience. Graduate Degree with 03 years Degree in Law (OR) Higher Secondary with 05 Years Degree in Law. Secondary School Certificate (Matric with 12th) or equivalent. Bachelor's Degree in Electronics with two years experience in related field (OR) Diploma in Electronics Engineering with two years experience in related field (OR) Degree in Electronics Engineering. Degree in Veterinary Science and Animal Husbandry. 02 Years working experience. Matric with 12th pass or equivalent qualification with 02 Years Experience. 12th pass with Diploma or Certificate in Livestock. Certificate in Forest Rangers / Graduate in Science / Computer Science. Examination Fee: The candidates belonging to OBC and UR required to pay ₹ 100/- through "SBI Net-Banking/ Credit Cards/ Debit Cards" or through SBI Challan. All Women candidates and candidates belonging to Scheduled Caste, Scheduled Tribe, Physically Handicapped and Ex-Servicemen, eligible for reservation, are exempted from paying application fee, as per extant government orders. The last date for submission of online payment of application fee is 02/10/2016 up to 5:00 PM. How to Apply: Eligible Interested Persons Apply online through SSC Online Portal on or before 02/10/2016. Mumbai - 400 020 within 10 days from the last date prescribed for payment of fee. India Nuakri by Ranjit Thakor is licensed under a Creative Commons Attribution-NonCommercial-NoDerivatives 4.0 International License. Based on a work at http://www.indianaukari.com/.